So you've finally reached a point in your upgrade path that the OE fuel system can no longer reliably support the fuel demands of the engine. A nice position to be in if you ask me, but what to do? First logical step to me would be to upgrade the fuel pump to get the needed fuel to the engine under all circumstances. In my case, not only have I have experienced fuel starvation on the track but have also maxxed out the duty cycle of my fuel injectors needed to supply enough fuel for my power needs. 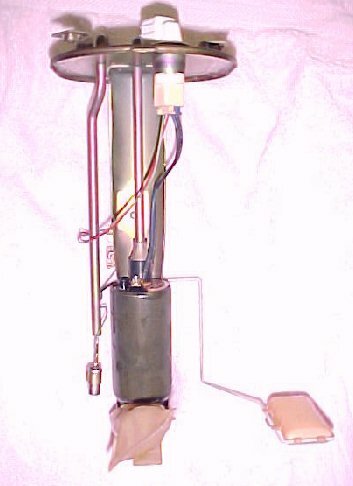 In principle, the fuel pump supplies the fuel to the fuel injectors with the fuel pressure at the injectors (in the fuel rail) being governed by the fuel pressure regulator. What is not needed by the fuel injectors is then routed back to the fuel tank. As I have mentioned elsewhere, the fuel injectors measure exact amounts of fuel into the intake depending on engine load. This exact amount can be measured by the duty cycle of the injectors, or the percentage of capacity of the injector used per cycle, given the known maximum fuel delivery of the injector, i.e., 550cc, 850cc, 1050cc, 1200cc or even 1600cc. It is commonly agreed upon that the maximum reliable duty cycle one should see for a fuel injector is 85%. Anything above this is possible all the way to 100% but the injector may overheat, or more realistically the ability of the injector to accurately measure out fuel diminishes greatly, with the injector not pulsing at all but simply staying open all the time. In my case running at 12psi of boost I was witnessing about 85% maximum duty cycle on my fuel injectors. So what to do if I want more reliable horsepower? Use bigger fuel injectors, or increase the fuel pressure to the injectors....so they squirt more fuel per pulse. How to get more pressure to the injectors? Use a bigger fuel pump and a fuel pressure regulator that allows a higher fuel pressure in the fuel rail. So my first step is to install the bigger fuel pump. Now due to some nuances with using a bigger fuel pump even with the OE fuel pressure regulator there apparently will be some changes in fuel metering to the injectors. In theory this is not true but empirical evidence bears this out in that a larger fuel pump will cause the car to run slightly richer and thus reduce the burden on the fuel injectors if tuned accordingly. SO WHICH PUMP TO CHOOSE? As for which pump to chose, there is much debate on whose pump flows the most under which pressure, etc. etc. There are some pumps that will flow enormous amounts of fuel that will support 500, 600, 700HP plus. Do *I* need this? Nope. Do I need something that will reliably support my 300Hp at the wheels with some room to shoot for 350HP at the wheels if I desire? Yes. Will the Denso high flow fuel pump accomplish this? Yes. With the added bonus that the Denso fuel pump is a one for one swap with the OE pump. No modifications are needed at all, verses the other which require moderate to VERY extensive modifications to the mount and pickup. And a little trade secret, the Denso/Cosmo fuel pump has essentially identical flow characteristics to the Denso fuel pump out of the Toyota Twin Turbo Supra. The latter of which can be found at a junkyard for about $100. With cover removed and harness unplugged Remove the cover, unplug the harness unbolt the two line brackets and remove the feed and return lines. Then before unbolting the cover, use a toothbrush to brush away as much dust and debris from around the cover..you don;t want that stuff falling into the tank! Then simply lift out the assembly, just be carefull not to bend the level indicator float arm and watch out you do not tear the rubber gasket. 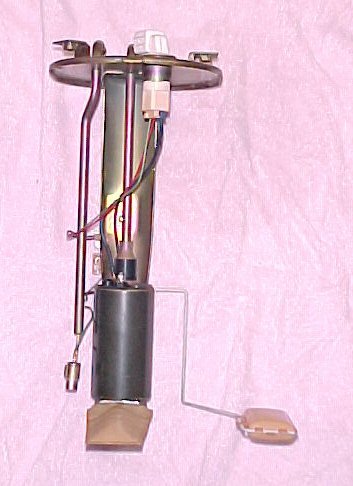 [left] Mounted Denso high flow pump [right] OE Denso pump. Can you spot the difference? Now on to swapping the pump. Leave the OE two wire harness in place but disconnect it at the pump, Remove the bracket and pop out the OE pump and pop in the new pump. The service manual suggests replacing the rubber connector but after examination of this part on my 29k car this seemed unnecessary. Reassemble the bits and dropped the assembly back into the tank. Be sure that when dropping the assembly back into the tank the gasket stays affixed to the underside of the cover plate. Then reattach all the lines. First test is to see if the pump runs and to prime the fuel system. A simple jumper in the diagnostic connector and you can listen to it humming away. Success! One of the reasons for upgrading my fuel pump was to attempt to address my fuel starvation problems on the track. I have experienced fuel starvation with as much as a 1/2 a tank of fuel! It's the long sweeping high G left handers that give me the problem but also under HARD acceleration with a 1/4 tank of gas I have hit a fuel starvation problem as well. Many simply keep the tank 1/2 full or more but for me that answer isn't good enough. So I was looking for problems and possible actions I could take. Was the low pressure mesh fuel pump filter clogged? 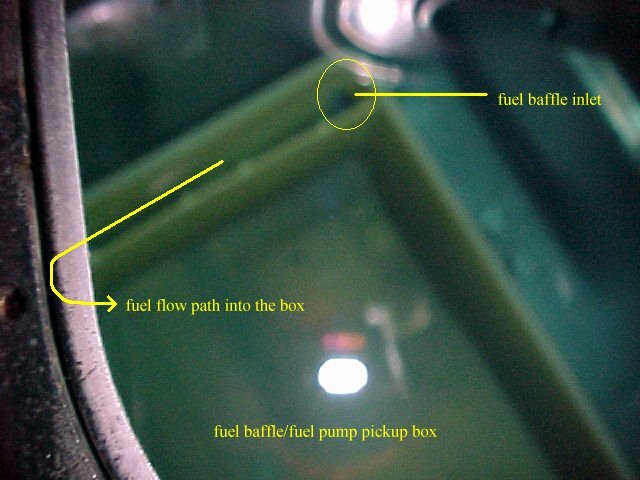 (I still plan on replacing my high pressure fuel filter soon as well) What is in the tank in the way of baffling? Is the fuel pickup on the Supra TT pump different than the OE Mazda pump? Fuel tank fuel pump internal baffle box (apologies for the picture quality) So what did I learn? My fuel pump low pressure mesh filter was clean and there was no debris in the tank, specifically in the baffle box where the fuel pump pickup resides. 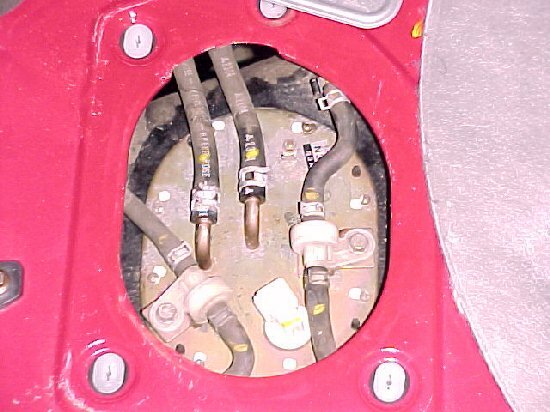 As you can see from the picture the baffle box is minimally designed to keep fuel around the pump pickup in hard left cornering where all the fuel wants to move to the right. My suspicion is that the mesh screen/pump pickup on the OE pump was angled upward and was starving for fuel. The low pressure filter on the Supra Denso pump was slightly smaller and not angled so will stay lower in the fuel reservior that the OE pump filter. We shall see if this cures my ails.